This month has been a weird one. I had most of the month off from Uni, so I had lots of spare time. But all of a sudden it's been two weeks and I feel like I'm constantly rushing around and have a never ending to-do list. I have exactly a month until my mid semester break, so let's face it, I'll be counting down the days. A huge love of mine this month has been the Dear July videos that Emily curates on her YouTube channel. I have found so much inspiration and loveliness from them, and my favourite has got to be this one by Emily herself. I even wrote down part of what she said in my diary because it spoke to me so much. There are many things I loved in the past 31 days, including everything from beauty, books and experiences, but I felt Letters To July deserved it's own mention early on. Something I enjoyed doing this month was going to the Wunderrūma exhibition at the Auckland Art Gallery (sneak peak here). I have a huge love for the Auckland Art Gallery building, and it's nice that it's just across the road from my University. The Wunderrūma exhibition (which means wonder in German and room in Maori) was one of my favourite exhibitions I've seen at the gallery - I love jewellery, but there were also just something interesting, slightly abstract and colourful objects to look at and it was really lovely. If you live in Auckland I'd recommend going! 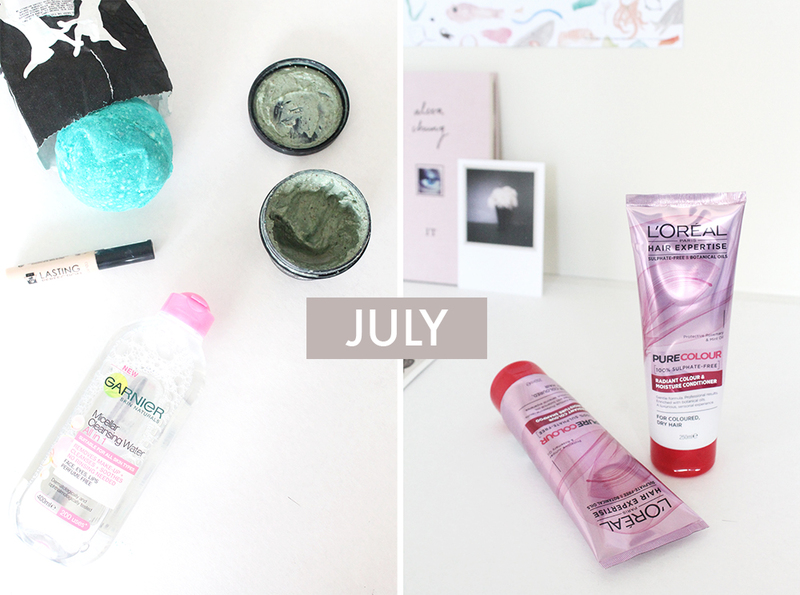 I have a few good beauty things to mention this month. First of all, I'll mention the bath bomb I did a post on recently, and it's the Limited Edition Lord of Misrule bath bomb which I believe is a Christmas item that has come out as part of the Mid Winter Christmas. This is my favourite bath bomb I've tried, I love the smell and I love how it looks in the bath. The next item is another Lush item, and trust me, this one is really good. It's the Lush Mask of Magnaminty Self-Preserving, for face and body. I haven't used it on my body, but it works really well with my skin, leaving it so soft and clean. You leave it on for ten minutes and then scrub your skin with it afterwards. There are those times where my skin feels gross and gunky and just not clean enough. This honestly just clears out all the dead skin and leaves my face so refreshed. I'd say this is good for combination or oily/acne prone skin - the minty smell is so nice as well. I also like this because it's self-preserving, meaning it will last way longer than the fresh face masks. I only have one make-up item I've been liking in July, and that is the Collection Lasting Perfection Concealer. I'm aware this is basically a cult item (for some) in the blogging world and pretty much everyone has heard of it. I went off this for a while as it was really drying on my skin but no concealer I've tried gives me enough coverage without having some other problem with it. This is drying at times, however I've learnt to use it subtly and only on spots - never under the eyes as it's just crease city basically. This also matches my skin colour well unlike many things so that's probably what makes me like it more. 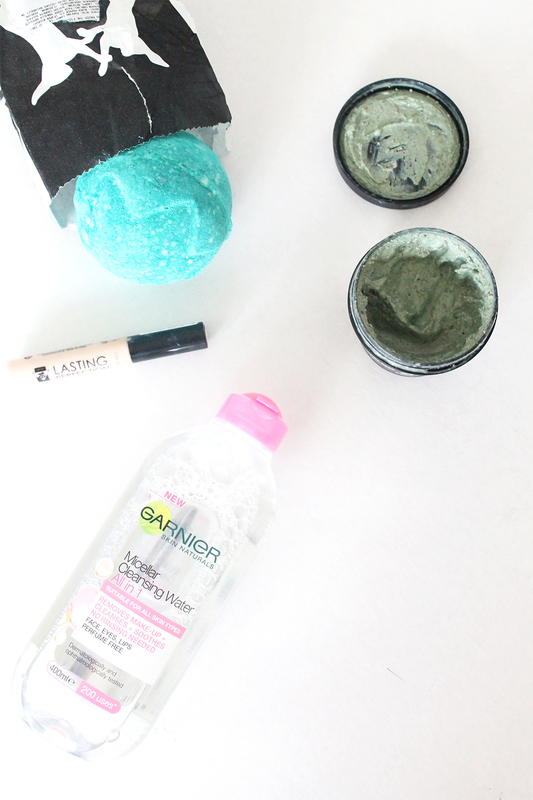 I've also been liking the Garnier Micellar Water which has been compared to Bioderma. I've tried and loved Bioderma, and this one is very similar (and cheaper). 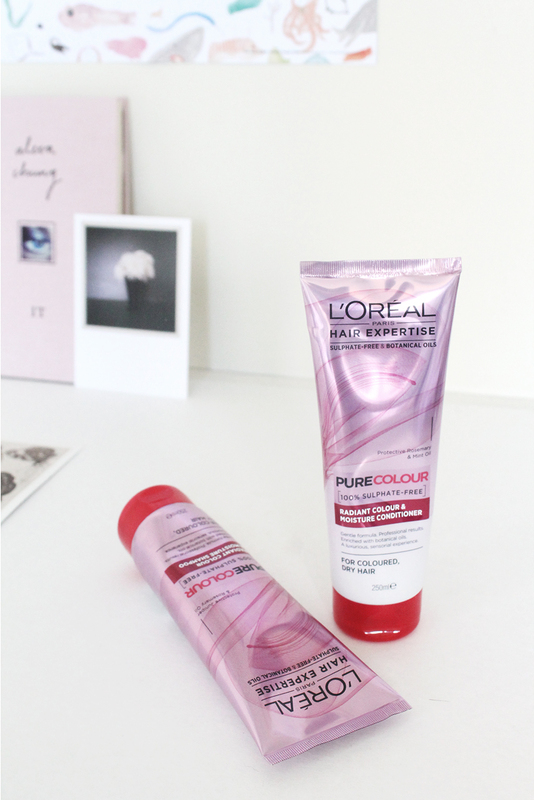 I used to use this shampoo and conditioner a little while ago - it's from L'OREAL and is meant to give moisture and be good for coloured hair. I think they've had a bit of packaging change, but it is similar. I don't know if they've changed the formula or anything, but I'm going to say this right now - I think this is my favourite shampoo and conditioner. It makes my hair feel soft and full of moisture, no tangles or anything. I also like that it's sulphate-free because that is a bonus. I also have coloured hair, so if it does what it claims to do (maintain/brighten colour), then I feel like there's nothing else I could look for in a shampoo and conditioner. I've tried the smoothing version of these too and they're both really good! In terms of books, the last few months I've started to mention every book I've read and give a quick review of sorts, however, I think from now I'll just mention my favourite books I've read and tell you why I like them so much! You can see everything I've read on Good Reads, by the way. I'd say the best book I read in July was The Rosie Project by Graeme Simsion. This wasn't YA fiction, so I was kind of hesitant to read it because you know, it's about adults. However, I was pleasantly surprised by this, because it was such a sweet, funny story. I feel like a lot of book 'ideas' can be overdone, and sometimes books are about the same sort of thing, but this was just refreshing and different. The tone of the book reminded me of The Humans by Matt Haig; a book I read way back at the beginning of the year and I loved. You can really feel the character progression of Don in this book, and overall this was what I would describe as an unconventional love story. It was actually quite funny in parts, and you just kind of have to read it to see. 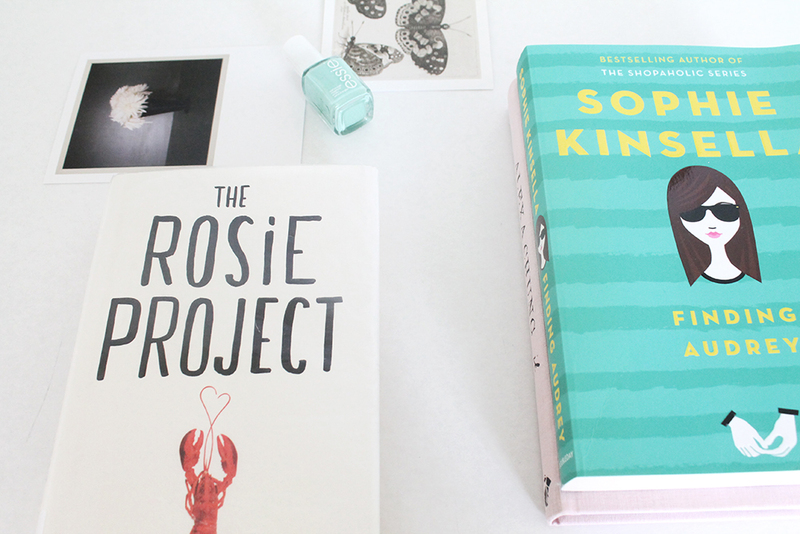 Finding Audrey by Sophie Kinsell was the other book I really liked this month. This was so easy to read, because the actual writing was to the point and sometimes I just want that in a book. The story was simple and easy to follow along with too (well, probably because it's meant to be for younger-than-me readers). This story dealt with computer game addiction (Audrey's brother) and anxiety/mental disorders (Audrey). I connected with this story and felt like overall it was a very good idea for a book. Anxiety and social disorders are something that needs to be written about in books more, I think, and it was nice to read about Audrey and what she was going through. The 'love' part of this book is subtle and really sweet in parts; I mean it's just the right amount, really. This was a sweet and short story with some themes that made me think! As usual with me, when it comes to music, I listen to one artist or album over and over and over until I get sick of it, and then move onto the next thing. At the start of the month I was listening to FKA twigs and my favourite songs are definitely Two Weeks, Pendulum and Give Up. If you like chill, slightly alternative music then give FKA twigs a go. I think someone during the month mentioned Royal Blood so I started listening to them a bit, again. This band is so good. I was mainly listening to their Spotify Live Sessions. Lana Del Rey has been the artist that has overtaken my month, really. I've been listening to her again (it seems these days I mainly just go back to old favourites?) and I have to say I love her album Ultraviolence the most. Also I forgot that the song Sunburn by Ed Sheeran existed so that gave me a little nostalgia. Listening to him again makes me so excited for December's concert! P.S. You know that thing I mentioned in the beginning of the post, Letters to July? I might have made one myself. I didn't know if I should just keep it to myself, but I've uploaded it to my channel, so give it a watch if you'd like. I hope you liked reading this pretty massive post - have a good day and I'll see you next week for some more posts.